During the 12th Five-Year-Plan period, the economic growth of southwest China outpaced all the other regions in the country, and such robust growth continued in 2016 – start of the 13th Five-Year-Plan period, which is sure to generate enormous energy demand. 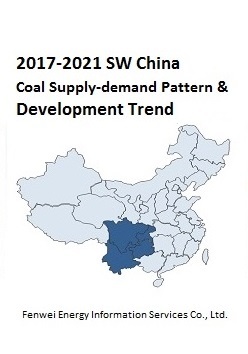 Southwest China - one of the regions with the strongest economic vitality and a region with net coal inflow, its coal market trend has caused great concerns. Some people wonder about the changes on the region's coal supply-demand pattern in the coming five years. With expected commissioning of LanYu Railway (Lanzhou-Chongqing), what impact it will bring to the region's coal inflow? This report will address all the above concerns and give answers. The southwestern region in this report is made up of Sichuan, Guizhou and Yunnan provinces and Chongqing Municipality, but excluding Tibet.